We are happy to share with you some updates about our entrepreneurship and academic mentorship programs, annual conference, and unique summer volunteer program in Lebanon. The volunteers will get to learn first-hand about the refugee crises and education in emergencies, and to work along other enthusiastic individuals who share the same passion to help others. The program will run from July 19th until August 15th this year. For more information, and to apply, click here. Jusoor has partnered up with STEP Conference to offer one Syrian Startup the chance to take part in this year’s conference and exhibit at the Startup Basecamp in Dubai on April 4th and 5th. CarbonWorks co-founded by Firas Khalifeh was the winning startup, creating the first carbon-fibre smarphone and aiming to be the thinnest smartphone in the world. To catch Firas and many other interesting startups from the region don’t miss the two day event in Dubai, registration link here. 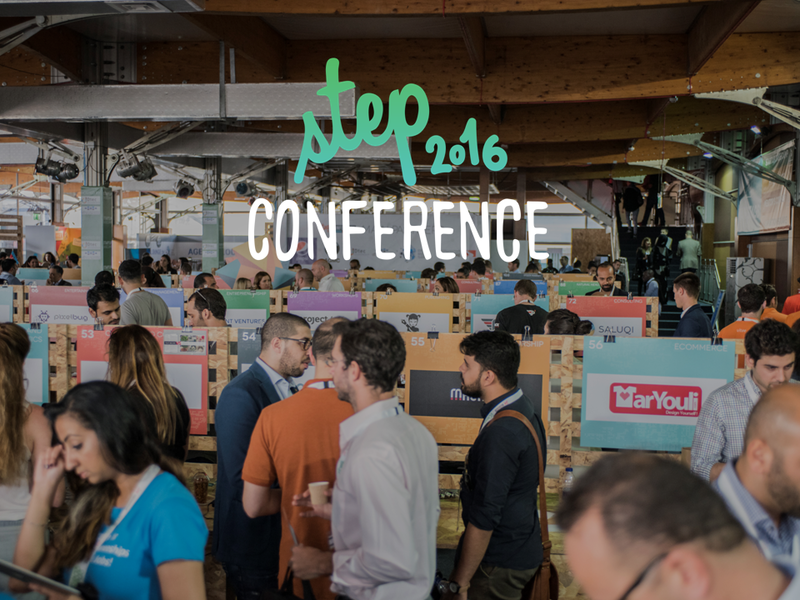 STEP Conference is the largest interactive gathering in the Middle East, and STEP 2016 will bring over 4,000 like-minded people from all over the world to innovate around technology, digital communications, and entertainment. We also wrapped up our Entrepreneurship Competition two weeks ago in Beirut at the end of the training bootcamp that we offered to the finalists. The teams worked very hard and impressed the judges. If you haven’t had the chance to join us at the final session, you can view a recording here. You can also view an interview with our winners on MBC here. Our Academic Mentorship Program is focused on connecting expatriate Syrians and other volunteers with highly ambitious Syrian students to provide them with coaching and mentoring in their quest to continue their academic studies abroad. Mentees and Mentors are matched based on the country or region that the student is interested in studying in, and the academic field of interest. Communication takes place mainly online, the program welcomes mentee and mentor applicants year-round, and we have heard many heartwarming stories in the previous years about connections made through this program. In January and February 2016, we matched 70 Syrian students around the world with academic mentors: 13 were aiming to enroll in a bachelor program, 46 in a Master’s, and 11 in a Ph.D.
To volunteer as a mentor or join as a student mentee, and for more information click here. As the Syrian conflict enters its 5th year, thousands of Syrians have left their homes as refugee, with many settling in Europe. Jusoor’s 2016 global conference focuses on higher education, innovative non-formal education projects, career development, and social integration for Syrians in Europe. Our aim is to provide space for sharing and cultivation of ideas — engaging corporations, non-profit organizations, community leaders, and established Syrian communities in Europe to scale successes and mobilize support toward them. Similar to our last three conferences — New York in 2012, London in 2013, and LA in 2015 — we expect this conference to draw over 200 participants from around the world, including Syrian leaders in all fields as well as students. Stay tuned for updates at www.jusoorsyria.com/#events. Your continued support is what keeps us going. Keep involved by donating, volunteering, and telling others about us. We also hope to see you in Berlin in the summer!